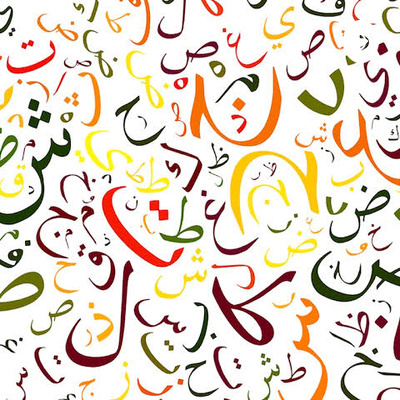 A podcast to discuss all things #Urdu from books and literature to poetry and jokes. We feel there isn’t enough quality Urdu content out there for those of us who are long lost children of the Urdu language (maybe that’s a bit too dramatic). In this episode I recite Surah AsSaaffaat, talk about some of the books I have been reading and read chapter 11 from the Urdu novel Maria by Bilqees Zafar. Enjoy. Subscribe. Share. In this episode I recite Surah Bayyinah and read a short German story for beginners. Enjoy. Please help me increase my subscribers by sharing my podcast with your friends and family. JazakAllah khair! In this episode I recite Surah az-Zalzalah, I read the 6th chapter from Duroos fil Arabiyyah and a story called Rihla ila Misr. Enjoy. Please share on social media and share with your family and friends. In this episode I recite Surah Al-Qariah and read chapter 5 of the Arabic book for beginners Duroos fil Arabiyyah. Also read a short story entitled Rihla ila isbania (migration to Spain). Enjoy. Subscribe. And share on social media and with your friends and family. In this episode I recite Surah Al-Asr, read from chapter 4 of the Arabic book for beginners called Duroos fil Arabiyyah. In this episode I recite surah al-humazah and read chapter 6 from the novel called Maria by Bilqees Zafar. In this episode I recite Surah Al Mulk, the 67th chapter of the Quran, followed by a short article in Urdu that a friend shared with me recently on WhatsApp, finally I talk about life in general. Enjoy! In this chapter I recite Surah al-Feel & Surah al-Quraish and read the 4th 5th chapters from Maria, the Urdu novel. Enjoy listening. Send me your suggestions. Subscribe, like, review and tell your friends and family. In this episode I recite Surah Al-Maoon and read the third chapter from the Arabic book, talk about reading and read an Urdu story about the rising of the sun that a friend of mine Adnan Siddiqi and I collaborated on. Enjoy, subscribe and tell your friends and family about the podcast! In this episode I recite Surah al Kawthar and read from the 3rd chapter of the Urdu novel called Maria by Bilqees Zafar. Subscribe to the podcast and help spread the word by sharing this with your friends and families. In this episode, I recite surah Al-Kaafiroon and read the second chapter from the Arabic book for Arabic learners called Durus fil Arabiyyah. In this episode, I recite surah Al-Masad and read from the 2nd chapter of the Urdu novel, Maria by Bilqees Zafar. In this episode I recite Surah Al-Falaq and read from the first chapter of an Arabic book for beginners. As a treat for this week, you can hear a recording of an Urdu poem Bazeechai Atfaal (Ghalib) by a friend. Enjoy the bloopers at the end. Episode 2. I recite Surah al Fatiha and read a story called the Evil King. Enjoy. Don’t forget to subscribe and tell your friends and family. Follow me on Twitter @umairsalam, leave me a voice message on the anchor app or email me (umairsalam@gmail.com) your questions, suggestions and story requests. In this episode, I do a book review of a book called Struggling to Surrender by Dr. Jeffrey Lang. https://www.goodreads.com/book/show/533324.Struggling_to_Surrender The book is a powerful account of Dr Lang journey of discovery that eventually lead him to Islam. It is autobiographical and written in a very easy to read style. Dr Lang is a Mathematician and he values reason and logic. He explains the Message of the Quran, presents and analysis of the Sunnah (which is the life of the Prophet sallallahu alayhi wasallam). 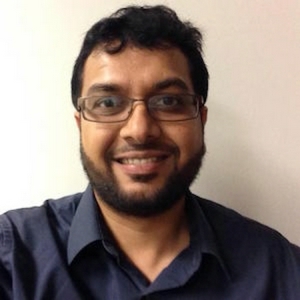 He writes about the state of the Muslim people and addresses some issues surrounding some controversial subjects such as the role of women in Islam, women's rights, the Shariah Law, the misconceptions surrounding Jihad, Apostasy and so on. All in all it is a very powerful book. Link to the YouTube Video (the audio is included in this podcast): https://www.youtube.com/watch?v=3H_C0BMyGCA If you're interested in advertising to a global demographic, please contact me via twitter @umairsalam. Also, please don't forget to subscribe and tell your friends about this show. You can also tweet about it. I appreciate it.